Protein and carbs are the two keys to a good post-workout meal. Eggs have the former covered. At just 70 calories each, eggs pack 6.3 grams of protein and are one of the few foods that naturally contain vitamin D.
For your dose of carbs, brown rice is fine, but it can’t compete with all the vitamins and nutrients found in quinoa. 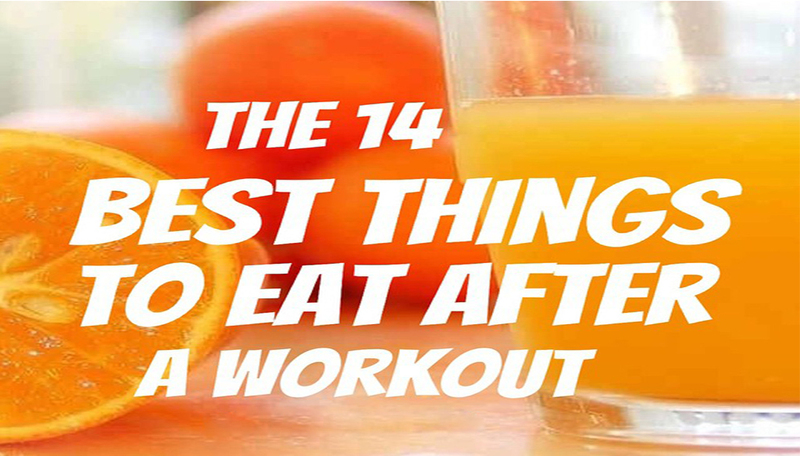 Instead of a Gatorade, grab a glass of OJ. In addition to vitamin C, you’ll also get significantly more potassium than you would from popular sports drinks. Just one cup of kefir contains 11–14 grams of “complete proteins,” which don’t occur naturally in the body. Dairy proteins are especially helpful for maintaining lean muscle mass and speeding up weight loss. These fast-acting carbs will help restore your body’s levels of glycogen, which helps rebuild damaged muscles. Not only will you get a large dose of protein, but the anti-inflammatory omega-3’s found in salmon will help rebuild your muscles and increase performance. These little guys give your body a huge antioxidant boost. Made from chickpeas, hummus contains both protein and carbs, and the slow-release carbs from the pita will keep energy levels up after a tough workout. Along with a healthy dose of carbs, sweet potatoes contain a variety of vitamins and nutrients, particularly vitamins B6, C, D, magnesium, and potassium. Kiwis pack huge amounts of vitamin C and potassium into a tiny serving. They’re also an excellent source of antioxidants, which help combat muscle soreness. To feel great and stay energized, you should replace every pound lost during a workout with 2–3 glasses of water. Your body uses a lot of energy during a workout.